The Shifting Meaning of "Fake News"
Some of y’all may remember this, but for a very long time I was an employee of Onion Inc. I began writing for The A.V. Club back in 1997, when the world was young, and we were all so innocent. Fake News has long been synonymous with The Onion and consequently with smart, funny, literate and slashing social satire. When it wasn’t applied to The Onion it was applied to the sad little contingent of The Onion wannabes out there. For a long time, The Onion’s monopoly on Fake News and news-based satire was secure. That has changed over the past few years, with the evolution of fake news sites that are clearly inspired by The Onion but her their own personality and vibe and audience, like Hard Times and particularly the consistently brilliant Reductress, which puts an essential feminist spin on the format. Needless to say, when people use the phrase “Fake News” these days it’s generally not to praise The Onion or Reductress, or to talk about what an unbelievably lucky mediocrity that Andy Borowitz guy is, and how he doesn’t deserve his success. Am I writing this from a place of bitterness and jealousy? Am I writing this because I wish that I had his money and gigs and cultural impact? Of course I am, but I also genuinely do think he’s terrible. No, in 2017, and 2016, “Fake News” has become the impossibly loaded catchphrase of Donald Trump, who uses it to describe literally any piece of news that he disagrees with, or conflicts with his self-perception as an impossibly perfect man-God incapable of making mistakes. As part of his gas-lighting of the American people, Trump has perpetrated the ridiculous fiction that any negative news about him or his administration is, by definition, fake news, while anything that appears on his Twitter feed is by definition real, even if it has been conclusively disproven or contradicts his earlier statements, actions and tweets. “Fake news” has somehow morphed from a comedy format to a ubiquitous insult recklessly spouted by Trump and his administration. This has caused a push-back, of course. I’m writing this from Washington, D.C, where I’m staying with a Washington Post reporter and recently did an NPR interview. 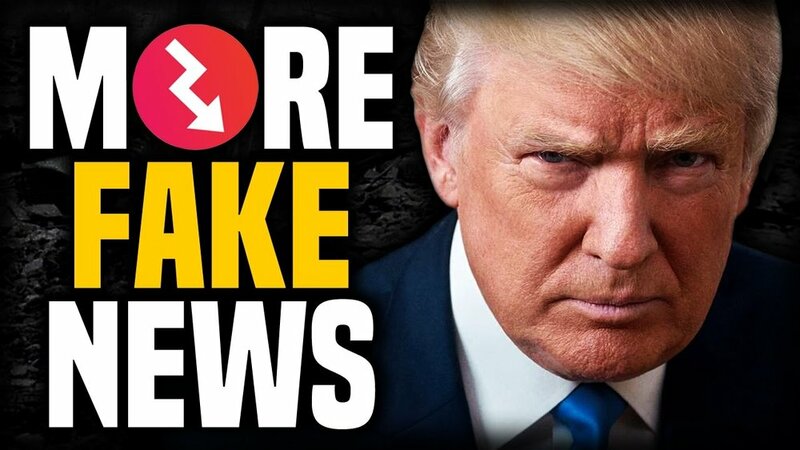 These Trump-unfriendly disseminators of actual journalism and factual information have begun the process of owning the phrase “Fake News” as a way of robbing it of its invalidating power. That’s because people who are not drinking Trump-brand Kool-Aid know that what Trump considers “Fake News” is actually real news, and that what he considers “Real News” (i.e InfoWars, Fox News, Barron Trump’s Trump Is God gazette) is actually fake news in the truest sense, in the sense of being, you know, not real. The Onion and Reductress use the format of fake news to articulate greater satirical and cultural truths. Donald Trump uses the phrase much differently. For Trump, using the phrase “Fake News” is a way of further obfuscating an already muddy and contradictory world. For Trump, throwing that phrase around indiscriminately is a way of defending and justifying his inability to be honest on any level. To borrow some of Trump’s favorite words, that’s both sad, and a shame. Exclusive! We've Tracked Down the Original Introduction to Hillary Clinton's New Memoir!